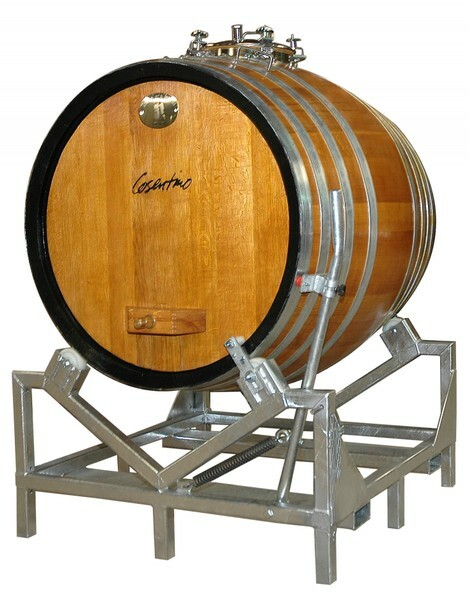 The Roll Fermentor (registered trademark and patented) of 600, 900 e 1200 lt., thanks to its easy handling, offers the possibility to develop particular micro cuvées, obtaining an excellent chemistry between grapes and wood. It’s mainly aimed at those who wish to develop high-quality wines, researching a particular aromatic complexity. Only in one container you can carry out all the fermentation’s steps, the maturation and the aging. You can also give directly the grapes into the barrel through a stainless steel manhole. 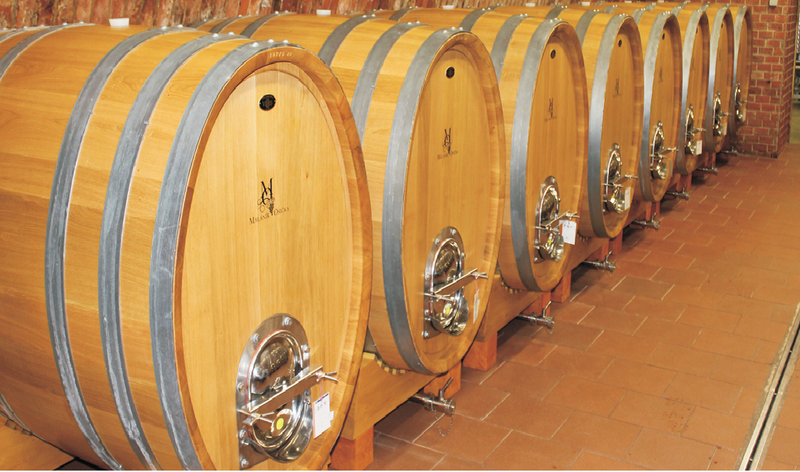 During the alcoholic fermentation, the oxygenation (guaranteed by the porosity of the wood) allows the evolution of phenolic compounds, the polymerization of tannins and a better aromatic evolution. The rotation system at 360° helps the breaking of the hat, facilitating the homogenization of the liquid and the solid and getting a good extraction of the skin’s compounds. The Roll Fermentor ® can be moved with a forklift or pallet jack. the emptying is obtained by raising the support with the roll over to the press and turning it.